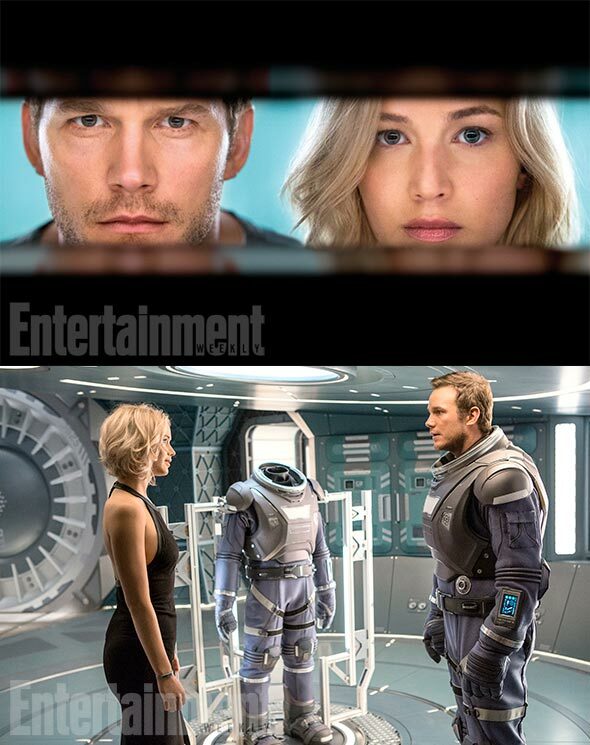 As part of EW’s Fall film preview guide, Sony Pictures has finally released the first photos for their upcoming sci-fi film “Passengers” starring Jennifer Lawrence and Chris Pratt. Morten Tyldum (“The Imitation Game”) directs the project from a script by Jon Spaihts with the story centering on Jim Preston (Pratt), a mechanic on a 120-year journey to a distant colonized planet in another galaxy. Preston becomes the first traveler to experience pod hibernation failure, waking up a century too soon and stranded in the world of an interstellar spaceship with only robots and androids for companionship. A year into his journey, he decides to wake up a fellow passenger, a beautiful journalist named Aurora (Lawrence). They fall in love but must soon deal not only with the revelation of Jim’s act but a major malfunction of the ship itself. Michael Sheen and Laurence Fishburne also stars in the film which opens December 21st. Previous articleWhedon To Helm “Flash” & “Supergirl” Musicals?